An MBA program for leaders who want to advance professionally and personally. IESE's Global Executive MBA program is designed to be different. IESE provide the tools for experienced managers and executives who aspire to grow both professionally and personally. IESE's program aims to help participants to acquire the additional skills needed to succeed in today's increasingly globalized and competitive business environment.The IESE Global Executive MBA is designed to develop leaders through the rigorous and comprehensive curriculum, delivered mainly through the case-study method, participants will learn how to make impactful decisions from a general management perspective. Learning from world class faculty and their classmates, who are international executives from the 5 continents, enriches the experience of the residential sessions in Europe, North America and Asia. Electives available in: Barcelona, Madrid, New York and Silicon Valley. The IESE Global Executive MBA is a selective program that seeks high-caliber participants from diverse professional and cultural backgrounds. Applications are reviewed on a rolling basis, and as class size is limited, applicants are encouraged to apply early. 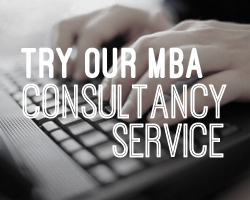 *GMAT can be waived for applicants with 15 years of experience or more, depending on background and experience. GMAT waivers will be strictly evaluated by the Admissions Committee on a one-to-one basis. What Sets the IESE Global Executive MBA Program Apart from Others? IESE's Global Executive MBA program is offered in two different formats, monthly and bimonthly, to accommodate participants’ professional and personal lives. Divided into modules, the program includes a blend of on and off-campus learning. 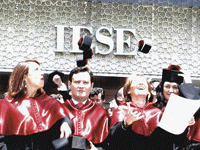 The total fee for the IESE Global Executive MBA program starting in 2012/13 is €95.000, including a €8.000 deposit. The remaining amount will be paid in two installments of €43.500, the first one before the first module and the second one before the fourth module. Loans: There are two loans available to Global EMBA students. Emerging Countries: The Global Executive MBA program is committed to welcoming professionals from developing economies. These scholarships support outstanding candidates who live and work in an emerging country. Entrepreneurs: IESE is dedicated to promoting innovation on every level. These scholarships support candidates who have successfully launched a new business. Women in Business: IESE is committed to increasing the number of women leaders in business. These scholarships support women who have a track record of outstanding professional accomplishments. The IESE Global Executive MBA is designed to take a general management perspective and gives participants a comprehensive view of the firm and the global business environment. At the same time, the case study method draws out best practices that can be immediately applied to participants' own jobs and companies. Elective modules are available during the last part of the program allowing participants to customize the program to their own preferences and needs. During the last 4 months of the program, participants are required to complete an in-company project. They have the choice to define the project and the area of focus within their company or colleague’s company. It will be supervised by a faculty member and a company executive. Participants also complete an entrepreneurial business plan to develop their capacity for launching new ventures.